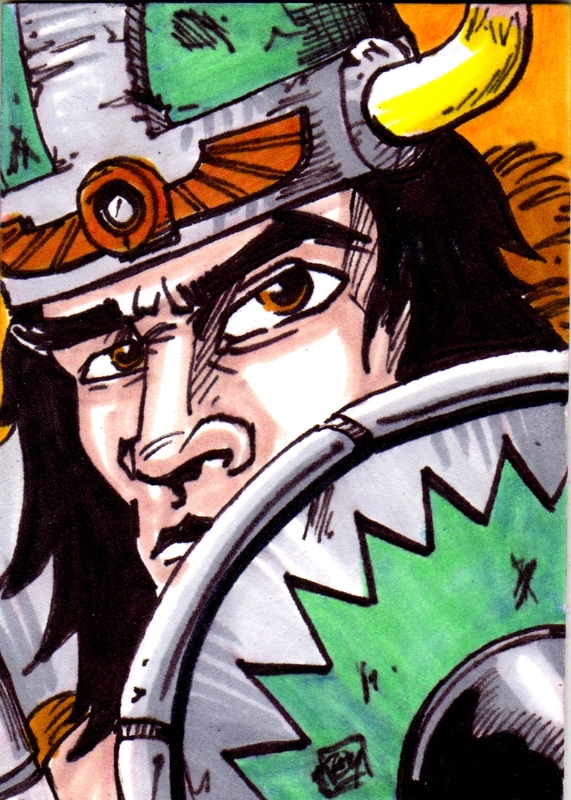 Taylor's Sweet Little Art and Nerd Site: Sketch Card of the Day- Vikor! Today's deviation is Vikor! Vikor...Vikor? You might be asking, who in all of Eternia is this guy. Well, he is basically what He-Man would have looked like if there was no Conan license issues. 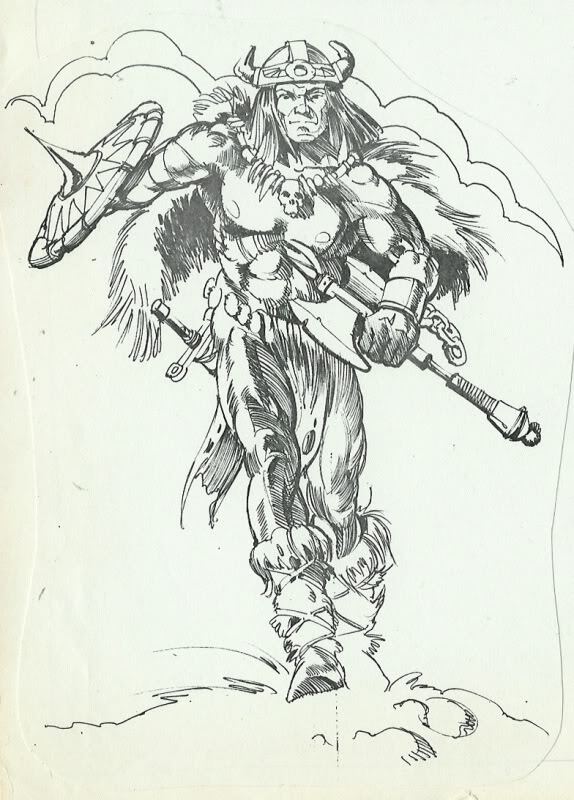 Vikor is based on a drawing that was to be the early He-Man design. Now to be clear; This drawing was not meant to be Conan. Nay, it was in fact meant to be He-Man. (Check out what I'm talking about here.) This character design finally made its way into action figure form this last year as Vikor, He-man of the north! I love it! He's from the north, like the north where Conan was from in Cimmeria, or from the north where... Vikings... were from; you know Vik-ings, like Vik-or... Ok, you get it. I did get a Vikor action figure from the Classics line, and I've got to tell you, He looks like Conan and not the Arnold pseudo Schwarzenegger Conan, but the Robert E. Howard/ Frank Frazetta Conan. Seriously, search Vikor, find a picture of the toy and tell me that that is not basically Conan! There's nothing wrong with that. I love the Conan franchise. Overall, I think Mattel did a great job of incorporating this action figure into the whole Classics toy line. Now I can visually play out the scenario of He-Man fighting, yeah you guessed it, Conan! You can also see this sketch card here.